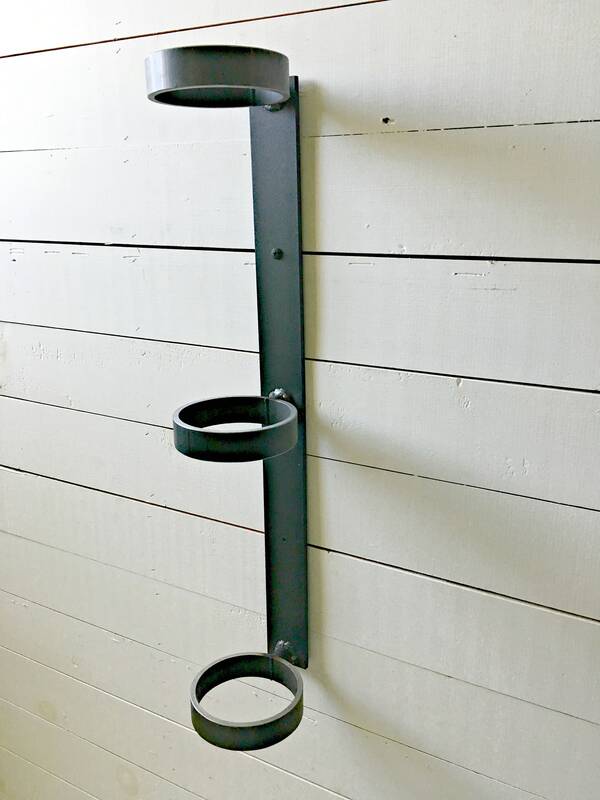 Welcome to Industrial Farm Co. From rustic to industrial to modern to farmhouse style we cover it all with metal brackets for open kitchen shelves, floating shelves, counter tops, mantles and more! 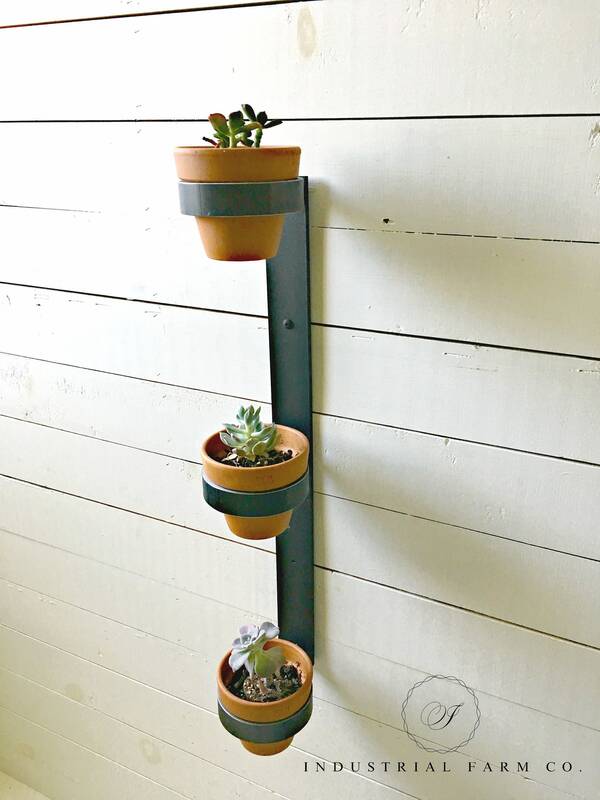 Made to order, our industrial farmhouse steel planter is perfect for flowers, succulents, or herbs, for indoor/outdoor use. The 2” wide flat bar, giving pots 1" clearance from the flat bar, with 1” wide round steel meticulously welded on it. 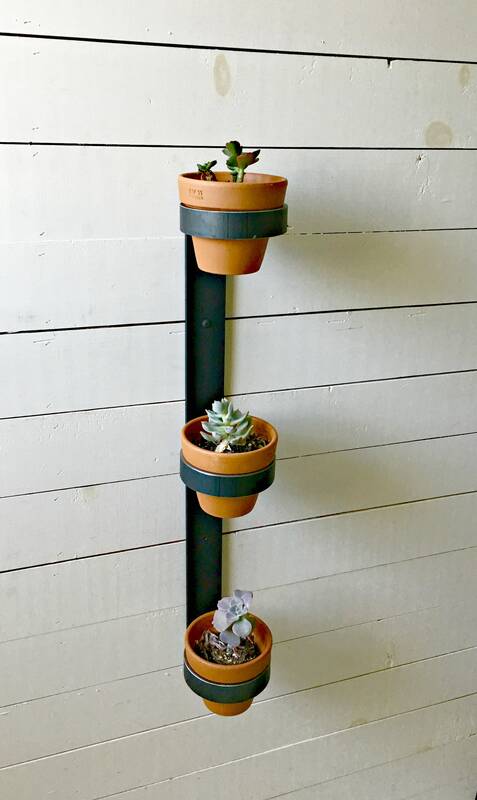 This planter comes in two options; holds 4" or 6" pots. The black / grey steel is sprayed with a matte clear coat finish. Handmade in the USA using locally produced steel. 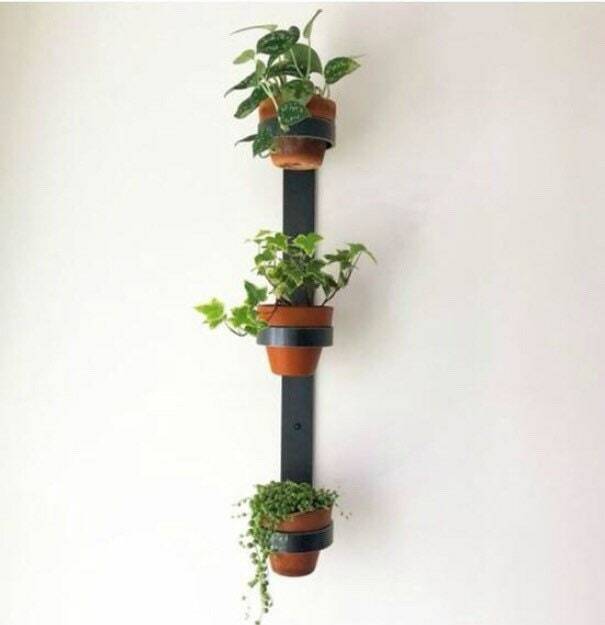 If you have any questions regarding this planter, or would like a custom order in a different size, simply hit the “Ask a Question” button next to the price and we will get back to you within 24 hours! HOW DO WE MAKE OUR COAT RACKS? Everything we make is made to order! We start by using raw steel that we buy in 20' lengths from local mills in Syracuse & Utica, NY. Even though we consistently buy the same grade of hot rolled steel, each batch can vary in color, scale, scratches and other visible imperfections. We cut the steel to the needed lengths on our band saw and deburr it to smooth all edges. The steel is marked, drilled, and then bent. If the brackets/corbels have a support bar, they are sent over to our welding area to be finished. Before anything leaves the shop, we meticulously look over the brackets/corbels over for any visible oxidation or "rust". If we see any, it is removed with a scotch brite pad or steel wool before it is shipped. Over time, most metal will oxidize or "rust". The rate at which this happens varies and depends on the environment and level of humidity. Since our customers preferences varies, if you choose to leave the steel raw, we recommend using a dry scotch brite pad or steel wool to remove any visible "rust" as it occurs. Some customers paint our products with rust protecting paint, like Rustoleum, or they use beeswax to coat the metal to help prevent "rusting". Thanks for shopping at Industrial Farm Co.! 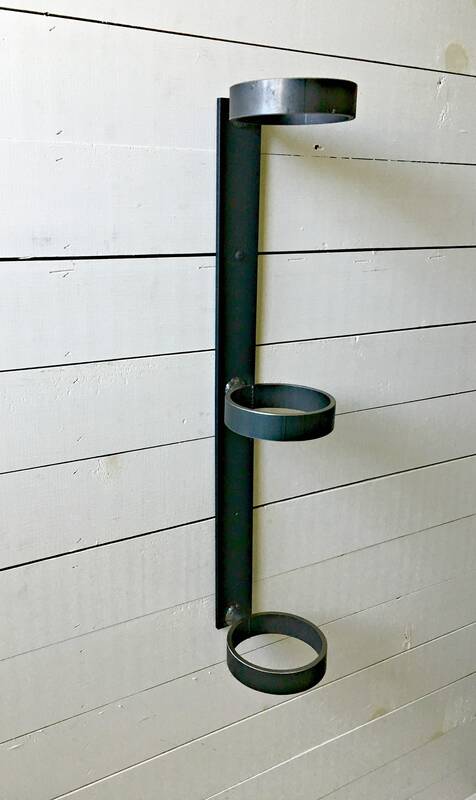 I don't see a size listed for the brackets/corbels I want. Can you make a custom sizes? Yes, please send the dimensions/details of what your looking for and we will customize your order. 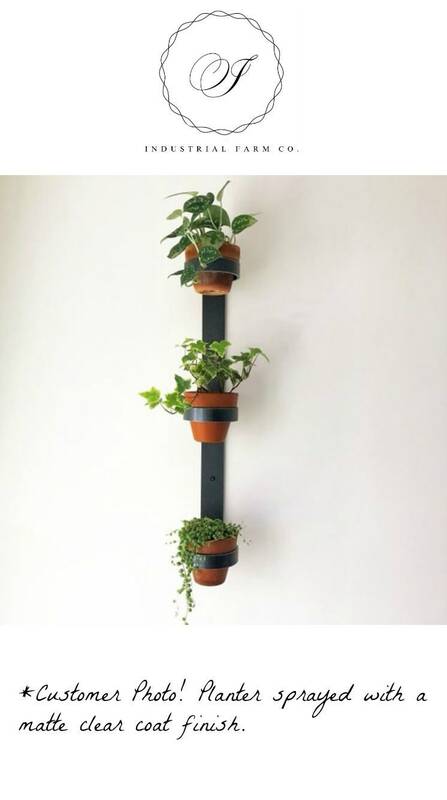 If I send you the dimensions and design ideas of brackets I want, can you make them for me? Yes, we will take your dimensions and design to make a sample. We will send you pictures to see if your happy with the sample and will move forward with your order! Yes, please message us prior to placing your order and include the quantity and we will send you a discount code to use! 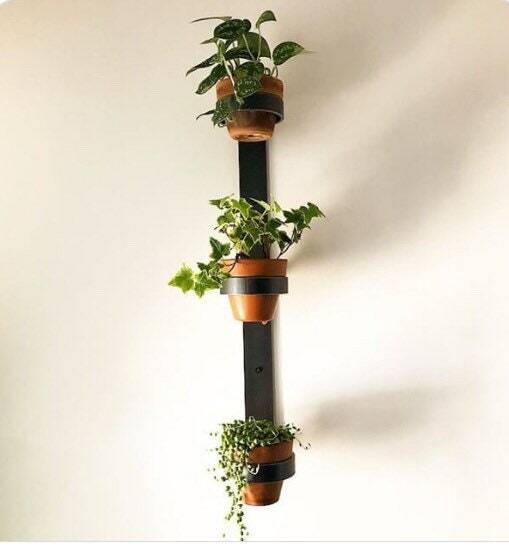 What is the best way to mount our brackets? We always recommend mounting our brackets into studs. Especially if you plan to put anything heavy on your shelves. If you can't hit a stud, you can use drywall anchors. However, in that case I would be careful on how much weight you put on the shelf. *When mounting brackets with support bars, we suggest using a hex head screw and wrench to secure. You can put the screw into the bracket and walk it into the wall. If you need any additional help, please reach out to us! We are happy to answer your questions. Over time, most metal will oxidize or "rust". The rate at which this happens varies and depends on the environment and level of humidity. Since our customers preferences varies, if you choose to leave the steel raw, we recommend using a dry scotch brite pad or steel wool to remove any visible "rust" as it occurs. Some customers paint our products with rust protecting paint, like Rustoleum, or they use beeswax to coat the metal to help prevent "rusting". We also offer clear coat as an option to help protect the metal before it leaves our shop! At Industrial Farm Co., we truly want you to be fully satisfied with the items you purchased! If you are not satisfied, or have ordered the wrong size you may return the bracket(s) within 14 days of delivery for a full refund of the purchase price, minus the original shipping. All refunds will be made after returned items are received. Cost of return shipping is the responsibility of the customer. Restocking Fee: For return orders of 20 or more brackets there will be a 20% restock fee. Please reach out to us if you have any questions or concerns! Do you supply mounting hardware for your products? Since we never know what material our clients are mounting our products on, we would hate to send out the wrong screw type/length needed. We are happy to give you suggestions, however we always recommend consulting a professional installer if you are unsure how to mount them or if they are installed correctly. © 2019 Industrial Farm Co.